BETWEEN Technology is a multinational consultancy with more than 20 years of experience in offering comprehensive services and technological solutions. We have a double function, look for the best way to meet the expectations of our customers and offer our workers a professional career. BETWEEN Technology is the result of the merger of SOLID Engineering and ADICIONA Servicios Informáticos. SOLID was founded in 2000 by the industrial engineer Francesc Civit and evolved from the design of machinery and the automation of industrial processes to product design, giving service to the entire production cycle, from design to industrialization processes. As of 2007, the company incorporated consultancy and outsourcing services in various branches of engineering, so that at the time of the merger it had a team of more than 150 consultants with extensive experience in both Engineering and Operations and with a geographical presence. in several countries, especially in the Asian area. 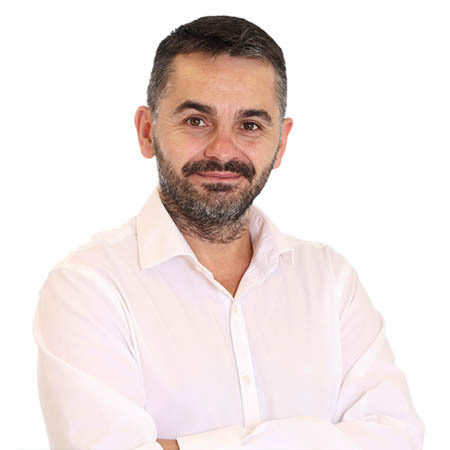 ADICIONA founded in 2003 by Eli Abad, graduated in Physics from the University of Barcelona, ​​offered customized IT consulting services for medium and large companies. In the beginning, it developed an outgoing mail filter to automate compliance with the LSSI (Anti-Spam Law), but the lack of commercial success of the product made them concentrate on ICT outsourcing services. In 2007, they added technology profile selection services to their portfolio. At the time of the merger they had a team of more than 90 people. In July 2015, joining forces to improve the day to day of our customers, BETWEEN Technology was born, adding the experience of both companies, which allows us to offer technological consulting services in the fields of mechanical and electronic engineering, IT and development of software, operations and continuous processes (chemical and petrochemical). Our goal is to lead the technological consulting market through our experience in the industry and the commitment of the staff of our company. In BETWEEN we have a double function, to find the best way to meet the expectations of our clients, offering our workers a professional career through outsourcing and technological solutions and services. Our different services reach all continents and cover various sectors of the global economy, from industrial to service companies. Let’s write the next chapter of our story together. Provide knowledge and optimal solutions to each client through talent and technology. Lead the technological consulting market through talent and the involvement of the people that make up the organization, differentiating us by the quality and agility of adapting to the needs of our clients. BETWEEN TECHNOLOGY offers a personalized service with a high degree of technical knowledge and innovative solutions for the development of projects in different branches of engineering, information technologies and associated operational areas. Our mission is to help our clients accomplish success by giving support to their savoir-faire, sharing our knowledge and information and providing them with technological support to reach every project’s aim, always working with confidentiality and respect. The indispensable grounds for reaching this objective are the company values that define us: professional vocation, desire to succeed, meritocracy, integrity, transparency and respect in the professional relationships with our clients, our suppliers, our organization members and other interested parties. Working operative based on perfectly defined processes that at the same time are sufficiently adaptative and flexible, in order to reach a high degree of agility. Accurate planning of the projects and our consultancy services with the sufficient and necessary allocation of human and technological resources, in order to set coherent aims and provide the client with the optimal solutions in the required period fulfilling the specified requirements. Control and thorough follow-up during our project and consultancy services development, establishing the appropriate periodic communication channels with the client, in order to project a strong image of professionality, seriousness and liability. Select and evaluate periodically our suppliers with the same criteria that our clients use with us, in order to maintain a balanced workflow with a truly added value. Firm compromise for providing the best possible working conditions, creating and maintaining an ongoing climate of trust and respect. Compromise for complying with the legal applicable requirements and for continually improving the performance of our quality and environmental managing system. Compromise for the protection of the environment, including the prevention of pollution and the sustainable use of resources. Selection of people with a strong professional vocation, reinforced by a programme of continuous training courses, specific for each of the areas. Strengthen the initiative and the leading capacity of the whole professional team, reinforcing the concept that only through making mistakes, can one finally learn to be empowered and progress towards success. Provide everyone with the necessary tools and resources to establish and facilitate communication channels that allow the creation of a compact and effective team. It is the responsibility of all the people that make up BETWEEN, to the extent of our possibilities, to adopt and strengthen, throughout continuous improvement, the policy announced in this document, since its only purpose is to seek the maximum benefit for all those who work at BETWEEN, our clients and society in general. All this has earned us ISO 9001 & 14001 as a Management System. Our management team is made up of people who come from the fields of industrial engineering, computer science and human resources, with additional training in business schools. We put at the service of our clients their professional trajectory in different sectors and their long experience, with the objective of converting each project into reality. Born in Preixana (Lleida), Oscar Serret received his degree in electrical engineering from the Universidad Rovira i Virgili, and a degree in mechanical engineering from UPC. He began his professional career working for local SMEs and later joined a multinational where he worked in the field of mechanical engineering. He received an MBA from ESADE in 2007-2008, and later received further training in finances, entrepreneurship, and corporate directorship (ESADE, IESE). He joined Solid Engineering in 2002 as technical director, and become Solid’s Managing Director in 2009, continuing in that post until 2014. He is currently the CEO of Between and also sits on the boards of other companies. Born in Barcelona, Cesc Civit received his degree in industrial engineering from ETSEIB (UPC). After several years as a professor in the mechanical engineering department at ETSEIB, while a member of the founding team of CDEI (Centro de Desarrollo de Equipos Industriales), he founded Solid Engineering en 1996, which he converted into an LLC in 2000. He sits on the board of various companies and associations in the field of R&D, and joined BETWEEN’s transition team in July 2015 as head of the process development committee. 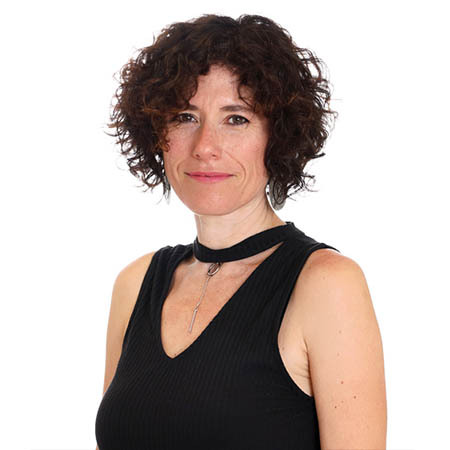 Born in Alella (Barcelona), Eli Abad received her degree in physics from the Universitat de Barcelona and an MBA from EAE. After several years as a systems consultant at a multinational, she founded Adiciona in 2003, where she served as Managing Director and Administrator. She joined Between’s transition team in July 2015, and currently serves as secretary of its board of directors. Born in Barcelona, ​​graduated in Industrial Engineering from ETSEIB, UPC and in Aeronautical Engineering from ENAC, in Toulouse (France). PDD by IESE. 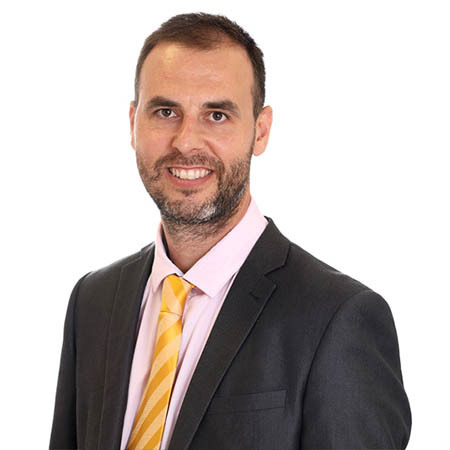 After two short stages in two companies, joined SOLID Engineering in 2005 as a project engineer, where quickly focuses his career towards the commercial side. In 2011 he became Commercial Director of SOLID Engineering, where is responsible for the national and international expansion of the company. Member of the College of Industrial Engineers and president of the ETSEIB Alumni. He is appointed Managing Director of BETWEEN Technology in November 2017. 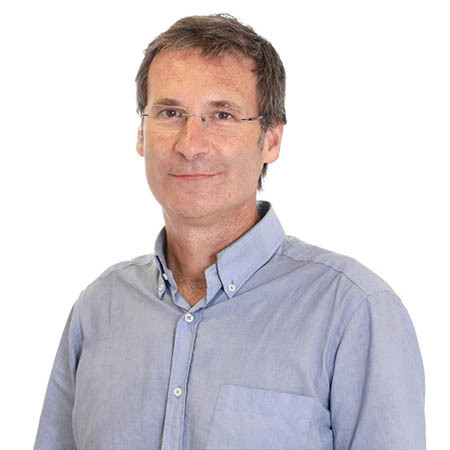 Born in Sant Cugat, Joan Ramoneda received his degree in industrial engineering at ETSEIAT (UPC), as well as an Executive MBA at the IESE Business School en 2017. 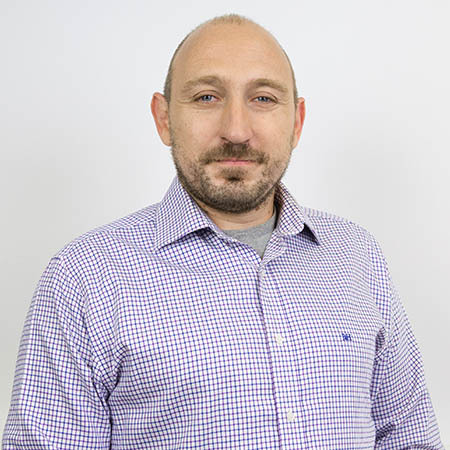 After several initial stages as project manager and BI consultant, he joined Solid Engineering in 2012 as Key Account Manager, where he focused on business development. 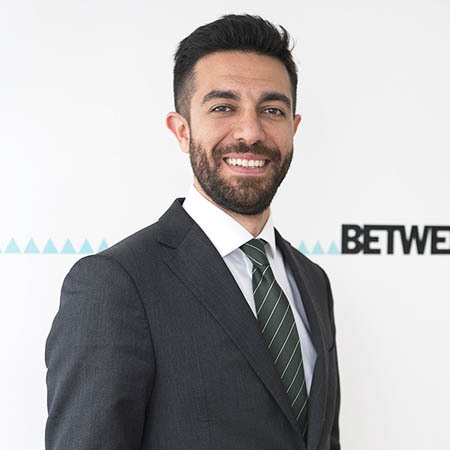 After several years of professional growth at Between, in 2017 he become Director of Between’s Barcelona Business Unit, where he heads strategy and growth for its IT and engineering services. Álvaro León Duarte received his degree in industrial engineering from Carlos III University in Madrid and his MBA from IESE. 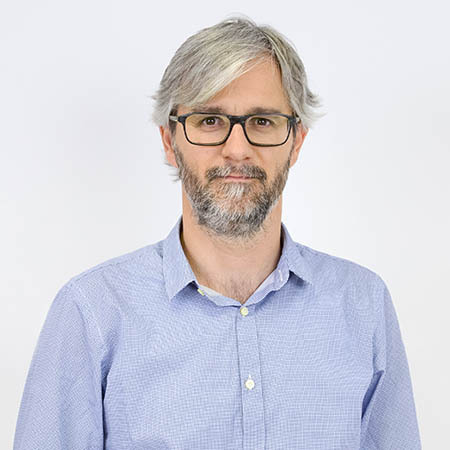 His professional career has primarily focused on sales and operations at companies such as Carrefour, Acciona, and Sisteplant, from which he took the reins of Between’s office in Madrid, where he leads a team of over 50 people. He focuses on business development in the areas of education, banking, and retail. Born in Barcelona en 1981, Álvaro Pizarro received his degree in industrial engineering from ETSEIC (UPC). After several years managing projects and selling services in the industry, he joined Solid Engineering to boost the company’s business development. He currently serves as Director of Industrial Services. 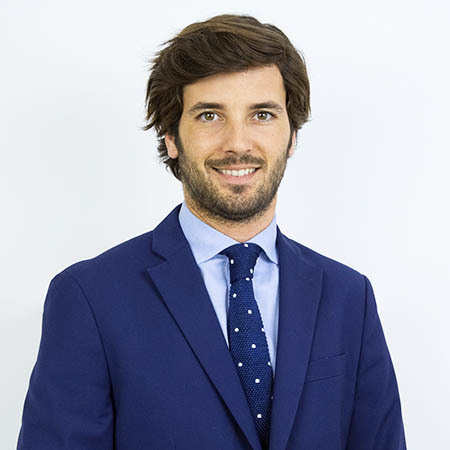 Born in Lloret de Mar (Girona) in 1976, Manel received his degree in industrial engineering from the Universitat de Girona and a PMP from La Salle. He joined Solid Engineering in November 2003, and worked on projects for the company’s top clients. He has been director of Solid Engineering’s Technical Office since January 2012. He also teaches a CAE Master’s class on fluid mechanics at FCIM. 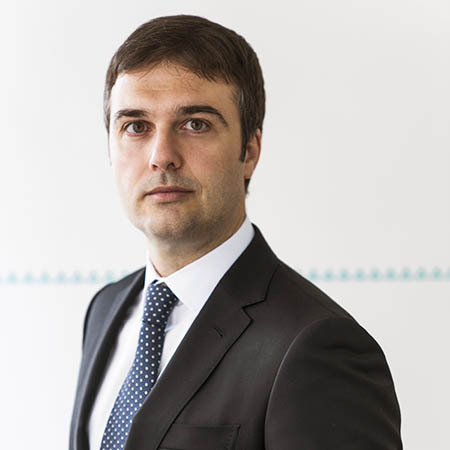 Born in Barcelona, Manel Campabadal holds a degree in computer science, a postgrad degree in telecommunications, and masters degrees from EADA in sales management (2006) and project management (2016). He has spent most of his career at various tech consulting firms. After a stint away from IT, he joined Adiciona as Senior Account Manager, moving on to the position of BU Manager at Between in 2015, and then Director of its IT Solutions division in 2016.